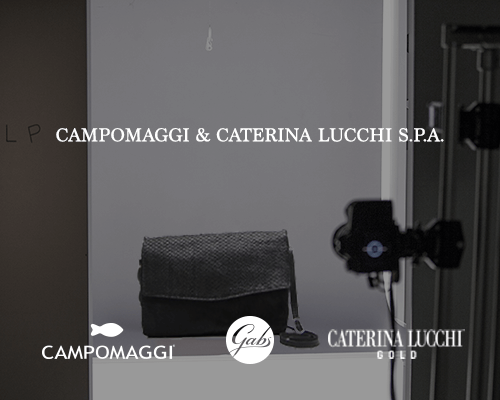 Home / Fashion & Luxury / Photography and E-Commerce solutions in Campomaggi & Caterina Lucchi S.p.A.
Campomaggi & Caterina Lucchi S.p.A is a company in Cesena, Italy, that produces and sells bags and accessories under the three brand names of Campomaggi, Gabs and Caterina Lucchi Gold. 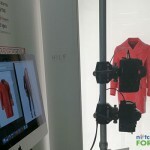 The company sells it products through showrooms and flagship stores in Italy and selected retailers. The three brands trade online through three separate E-Commerce virtual stores, each with its own distinctive communication style and tone. The growth of the company led to the need to create structure and order in those processes that enable the three brands to develop omnichannel communications, including photo production, creating brand and product content and adapting it for multichannel purposes. Our first contact with the company occurred following their decision to set up their third E-Commerce website. They were seeking a solution that could reduce time-to-market as well as increase productivity in activities in preparation for sales, while guaranteeing consistency and quality throughout images, text and content. Hyphen-Italia was able to bring its method and experience to this complex context and worked closely with the client to analyze the improvement areas so that redundancies in processes could be eliminated and workflow and procedures simplified. 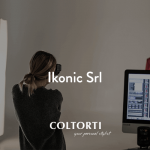 Based on the results of the analysis, a PhotoLab was configured comprising an HSL DESK set connected to a console for photo production management and a system for Product Content Management for product digitization. Thanks to the setting of precise style-guides and the industrialization of the photographic process, Campomaggi & Caterina Lucchi S.p.A. reduced significantly the time required to produce and adapt into the various formats the most important assets connected with their products: images. 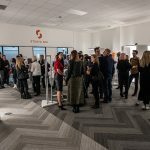 The photographs, combined with data from the company ERP system, data from technical, logistical text and information as well as from marketing and sales all contributed to create Digital Product Identity Cards to accompany and enhance physical products. These product cards became the centre of the communication processes at Campomaggi & Caterina Lucchi S.p.A. They are the source of information that can be adapted to feed any communication, promotion and sales channel. The new production processes and way of managing images and digital content provided benefits for the E-Commerce websites and company management software, but they also helped the B2B portal. For the first time, the portal was able to provide salespeople and agents with materials of the same quality as those from the online B2C sales platform. Once the project was completed and thanks to the tools and services provided by its own PhotoLab, Campomaggi & Caterina Lucchi S.p.A. was able to increase productivity exponentially and to manage its third E-Commerce website and B2B platform without extra costs or resources.